View More In Mattress Pads. Why suffer a night on a mattress that is too firm? 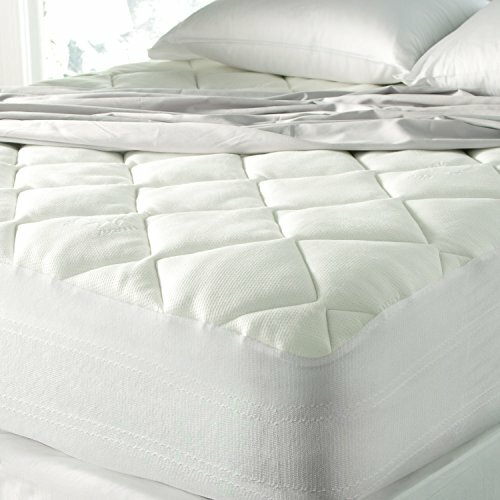 Assembled in the USA, this extra soft mattress pad is super thick. The bamboo blend* top quilted fabric is silky to the touch and helps transport body heat for a more comfortable night's sleep. Our Infinity skirt hugs the mattress, resulting in the perfect bed topper. Can be used in combination with feather beds.